I love this app!! I have to disagree with those people that mentioned that level one unrealistic because it not. After the first week there is a small increase of five more a day which is not a big number. I find this great because if I did 40 the previous day the next day it pushes me to do 5 more making my total 45 Which is a challenge for me. Specially because it’s a free app. Although some of the exercises can be hard, it really shaves off some pounds and inches. 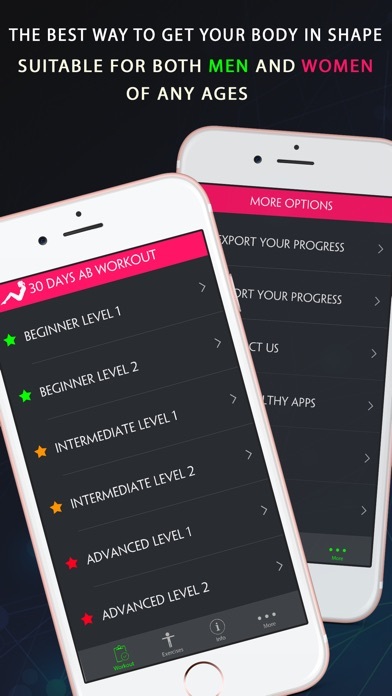 I have tried many exercise apps, and all of them you have to pay for a subscription. This is the first app I have found that is free. I strongly recommend downloading this app if you are look to lose a few pounds and inches. This app is great. Very helpful to me when doing my exercise everyday. Poorly written, poorly conceived. 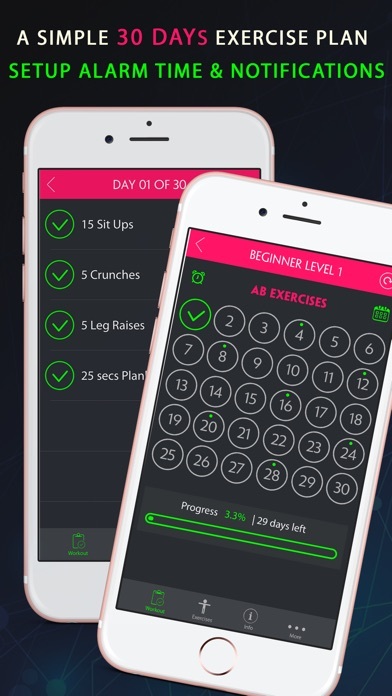 How do beginners get from 5 to 120 sit-ups in thirty days? No features in the app to help track those big days. Since it's free except the ads I gave 2 stars. It's worth the nothing I paid. 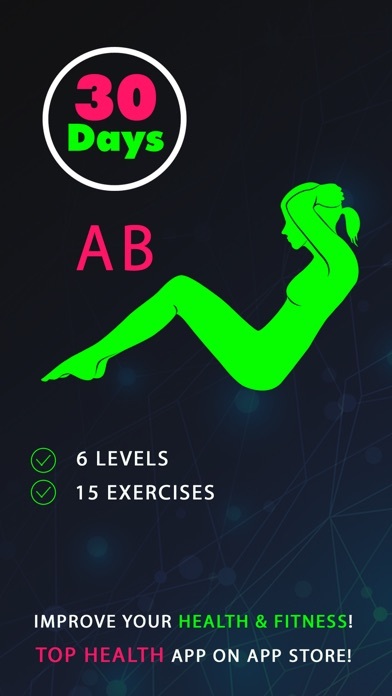 This app provides a great challenge, descriptions of exercises and a video is available for the Pro version. Thanks, This is the best 30 day fitness 30 day!!!!!!!!!!! This is truly motivating because it provides attainable goals that make a difference! This is just what I need to prep me for my vacation in a month! Some of the internal codes must be wrong because on some of the exercises when you click the eye, it shows you the wrong directions. This is perfect for what I was looking for. See a difference already after 10 days. Stay the course and you will have results -- TB12. I love this app. My friends and I get together everyday and work out with it. I really like the fact that they offer recipes for healthy food and The option to track your pictures along the journey. It's fun and effective the only thing I wish they would allow on the free version is the video. 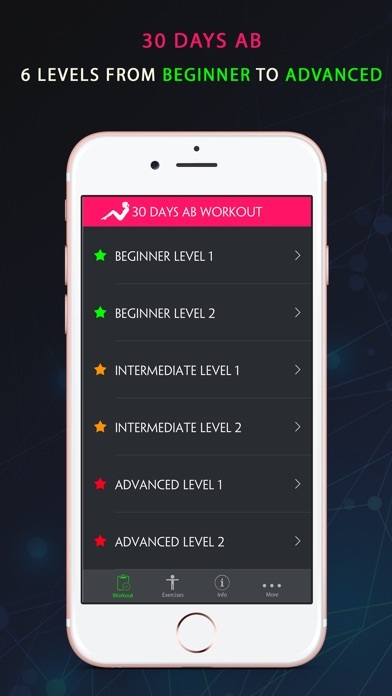 Just started using this app but it does seem to jump and number of sit ups really fast. I really like the concept of it and that you can set a reminder for yourself. Great App. I just hate all the ads!!!! Except for ads and not giving me the opportunity to opt out of rating. Doesn't detract from content though. Easy to use and just the right intensity to keep me going! I'm in fairly good shape but found even the beginner levels challenging after the first several days. This is perfect for my busy life! Very easy to use. I am liking it so far! Can't wait to see the end results once complete with the days. Good workout in the advanced stages. If you can stick to routine you can get great results. There is a great variety of exercises available as well.